Today, 21st April 2015, Adobe released Lightroom CC – the long-awaited replacement for Lightroom 5. It’s also available as a stand-alone application, called Lightroom 6, which doesn’t require a subscription to the Adobe Photography Programme or the full Creative Cloud suite. It’s faster, partly because it uses the graphics processing units (GPUs) inside modern computers to accelerate functions in the Develop module – something that Photoshop has done for a few years. Applying distortion correction, for example, used to slow down work in the Develop module, particularly on laptops – it feels quite a bit snappier now. (Check your settings in the new ‘Performance’ tab of Lightroom’s preferences.) 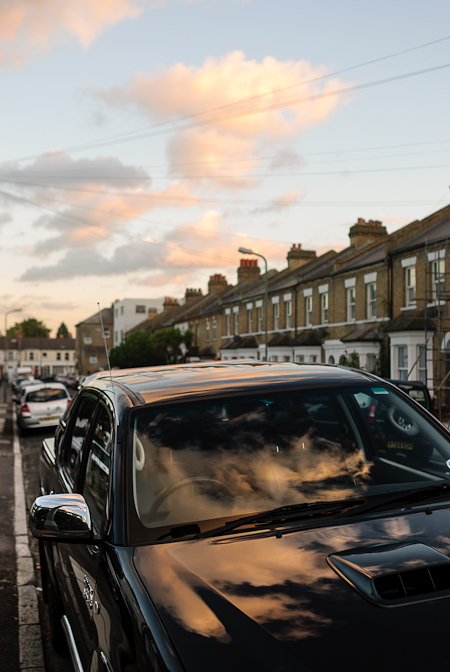 There have also been some rewrites to make other parts of Lightroom feel a little quicker. Lightroom CC’s raw processing appears unchanged but it does offer the ability to merge photographs to HDR (ctrl-H) and to merge photographs to a panorama (ctrl-M). Earlier versions of Lightroom worked together with Photoshop to achieve similar results but Lightroom now has both functions built in and my early tests suggest that they work quite well. You now have the ability to fine-tune the effect of a graduated filter by by using a brush, something that has been present in recent versions of Adobe Camera Raw (‘ACR’), the Photoshop plugin that does Photoshop’s raw conversion. Along with that comes an overlay for the graduated filter, which is good for newcomers to that tool – it helps show the direction of the graduated filter’s effect. There’s also an improved slideshow (very welcome) and face recognition, which I haven’t yet tried – I suspect it’ll be a while before we can rely on that feature. Speaking of misguided naming, Lightroom’s official name became ‘Adobe Photoshop Lightroom’ some time after its initial beta test period but its filename, at least, has now reverted to just ‘Adobe Lightroom’ – a definite improvement. Over the last few months, we’ve received more requests for Capture One Pro training than for Lightroom training. On one hand, we’re a small company so treat this as anecdotal information and not a large-scale survey; on the other hand, we’ve been using Capture One since version 3, have offered Capture One training since version 7 was released and have seen very little mainstream interest till recently – all our bookings were for training on Lightroom, Photoshop, printing and colour management. The quality of Capture One Pro 8, the current major release, is responsible for much of the new interest. It’s a very well written application that feels complete and solid, providing the strongest ever competition to Lightroom while being very different in its approach and interface. Is it worth switching your raw converter? Don’t make the decision to switch between applications based purely on reviews – that should go without saying. If you are an expert user of either Lightroom or Capture One Pro, you’ll likely get better results than most users of the competing application – expertise will almost always be more important than your choice of raw conversion software. (The same goes for expertise vs. new cameras and lenses.) But it is certainly worth downloading and trying the alternative app to see if its approach and interface suit you better. In our experience, photographers often have a very strong preference for one over the other (particularly easy to see when you’re working with a large group of students being shown both applications). If you’re using an application you really enjoy, you’ll get better results with it. Currently, that’s really the best reason to switch. There are books, online video and ebooks aplenty from the usual sources to help you with all these applications. Some have probably been released already covering Lightroom 6 and CC. One-to-one tuition at your own pace is a different way of learning and also a good way to supplement books and online courses to make some real progress. We’d love to hear from you: call 0333 577 5703 or write to develop@shootraw.co.uk. We’re based in London but travel throughout the UK to provide tuition at your studio, home or office. Professionals, novices and keen amateurs all welcome! 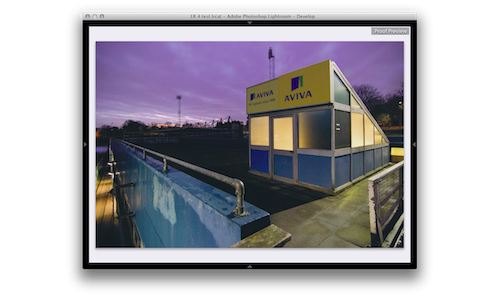 Next week, I’ll once again be delivering a free, two-day course on colour management for photographers in London. It was well received when we introduced it in September 2013, with very positive feedback from the attendees. Most of the people I worked with last time were photographers but one or two were also designers who regularly worked with images from various sources and wanted to know more about a colour-managed workflow. The course is free for London-based freelancers and SMEs and will be held at the Ravensbourne campus, right next to the O2 Arena on the Greenwich Peninsula. You can find more details and apply for a place by visiting the DMIC website. 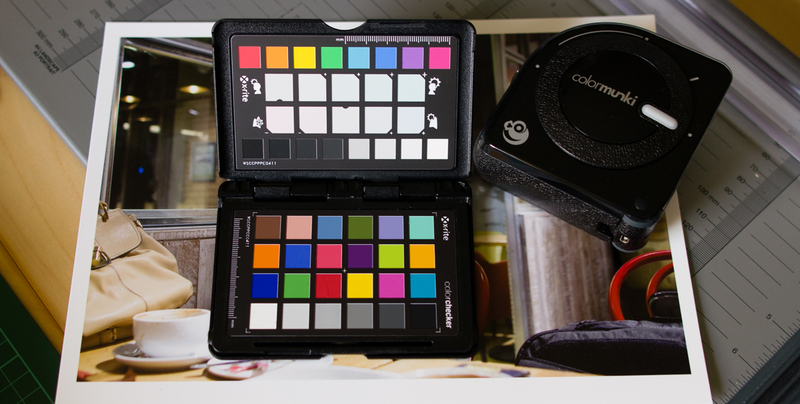 This isn’t a course on advanced colour science – it’s a practical, two-day programme that focusses on a colour-managed workflow, how to improve your results and how to avoid common problems (e.g. publishing online images that look desaturated when your clients view them on iPads and other tablets, or making prints that look too dark and murky). Among other things, we’ll cover colour spaces, camera settings, the colour settings in applications like Photoshop and Lightroom, how to profile and calibrate a display, how to work with soft proofs (which are a little like on-screen simulations of your print) and how to work with colour profiles when you print. There will be iMac workstations for you to use; you will print using an Epson 3880 Stylus Pro printer, on baryta-based paper. You’re encouraged to bring your own images and even a laptop if you have one. Click here to apply. I look forward to seeing some of you there. Categories: Blog. Tags: Lightroom, News, Photoshop, Software. As we’ve become busier, the site has become much quieter and I can see that it has been more than a year since I last wrote an update. In that time, we have continued to work with photographers at all levels on workflow, colour management and print making; we’ve made ‘digital’ prints for exhibitions (the last being Sir John Ramsden’s excellent exhibitions of photographs from 1980s Vietnam in London and Hanoi in 2013) and helped many others to make their own prints, organise their collections, process photographs and get their images online. Business as usual, in other words. Today, I’d like to remind readers and subscribers that the deadline for joining what Adobe calls its Photoshop Photography Program has been extended to Sunday, 8 December 2013. This offer gets you Lightroom 5 and Photoshop CC plus any updates released during the year for £8.78 a month, including VAT; this offer was once open only to those who owned Photoshop CS 3 or later but is temporarily (I assume) open to those who own neither Lightroom nor Photoshop. 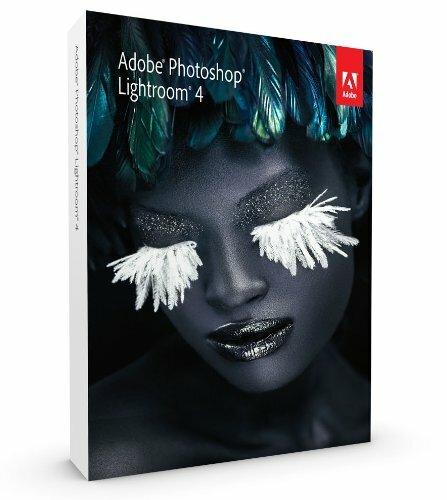 At this price, if you are currently making do with an old version of Lightroom and perhaps Adobe Photoshop Elements or something similar, this is an excellent offer. As an owner of both Lr 5 and Photoshop CS 6, I upgraded to Photoshop CC on its release but was automatically switched to this plan when it became available; the cloud activation and licensing have worked faultlessly so far. The Creative Cloud versions of the Adobe apps don’t run ‘from the cloud’ in some mysterious way — they’re installed locally on your machine, just like their predecessors, and run in exactly the same way. They work online and offline. (Almost every photographer I’ve spoken to has been confused by the name ‘Creative Cloud’.) The idea of a CC app like Photoshop CC is just that all updates released during your subscription term are included and that there will be no major version releases going forward (like Photoshop CS 4, CS 5, etc.). Instead, new features will be added via installable updates when they’re ready. In addition, you get some cloud storage options for your documents. The downside of this scheme is that when you stop paying, you lose all Adobe Photoshop functionality and not just the right to future upgrades. At this price, though, I don’t see that being a problem for any serious users of the software — it makes sense even if, like me, you owned a copy of Lr 5 already. That’s it for now. As always, one-to-one training and phone support is available on all the above. Next post: January 2015, by my calculations. 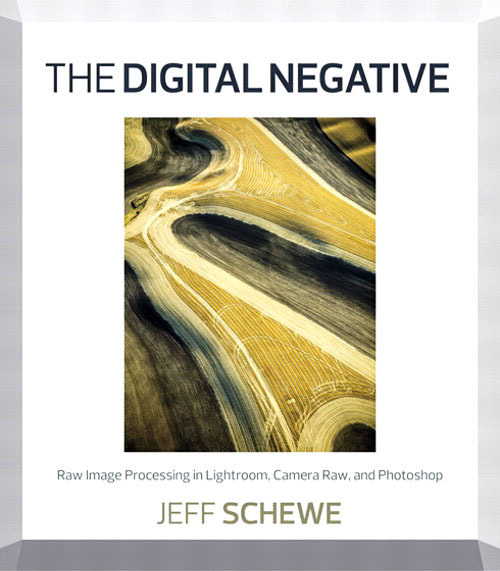 I’ve just finished reading Jeff Schewe’s latest book, The Digital Negative. It’s not suitable for a newcomer (for that, Lightroom users could try the Kelby or the Bampton) and it’s not a dry, technical textbook either but if you have built up some experience either with Lightroom or Adobe Camera Raw (ACR), The Digital Negative will provide excellent detail about technique and some valuable background about digital photographic workflow in general. Schewe knows his stuff and he knows some people at Adobe who know their stuff — it’s full of well informed and well tested information and techniques. The Digital Negative appears to allow the personality of its author to come through largely unfiltered (Jeff’s editors might disagree) so this is decidedly not a bland book. You get a very clear sense of the author’s feelings on photography itself, on processing and on workflow. Many technical books try to be as objective and impersonal as possible; that’s completely understandable but it’s not the Jeff Schewe way and I think this book is all the better for being occasionally blunt. If that phrase describes you, there’s another likely bonus. I was very pleased, as a demanding user of every version of Lightroom since the first public beta, to find myself agreeing with most of Jeff’s workflow recommendations; I suspect the same will be true for you but don’t write the book off — you’ll definitely learn new things and come across some fresh insights (and, of course, be generally cheered up by the written confirmation of what you’ve discovered yourself, through the processing and organisation of tens or hundreds of thousands of photographs). Technical books that rely on photographs and diagrams have, until recently, been best read in print. For The Digital Negative, I tried the electronic editions and was generally pleased. I went with Peachpit (link here) because it provides the book in three formats: a PDF, which you can read on just about any device, the Kindle format and an ePub, which works with many e-reader applications (including Apple’s iBooks app on iPhones and iPads). You get to download all three and find out which works best for you on your device. The only quibble for me has been that the crude watermarking (your name is stamped at the bottom of each page) cuts into some of the photographs on some pages — that would annoy me in a photographic monograph more than it does in this instructional book and on balance, the sheer convenience means that I can still recommend going electronic for this one. Amazon UK has the printed book or their Kindle edition (which I haven’t tried). It has been a very good year for us, I’m happy to say. We’ve been working throughout London as well as the north and the south of England (and even for a bit in mainland Europe), doing one-on-one Lightroom and Photoshop work with photographers, getting people printing, helping solve colour management puzzles, making custom print profiles and even helping to design and build a website or two for photographers. When things are quieter, we’re hoping to put details of some of this work online in a revised version of our own site, together with some of the testimonials we’ve received. Till then, if you’d like more information about the kind of work we do and some examples of the broad range of photographers we’re working with, please use the (now very short!) contact form – we’d love to hear from you. Categories: Blog. Tags: Lightroom, Software. The results we saw in tests of Lightroom public beta were very positive so we’re pleased the final release follow so quickly. Aside from soft proofing, which works very well, output quality for high-contrast images is up (retention of colour in highlights, in particular) and some odd bugs, like the use of local adjustments causing loss of highlight colour in areas that you weren’t painting on (!) have been quashed. It’s easier to get convincing and pleasing results in fewer steps. 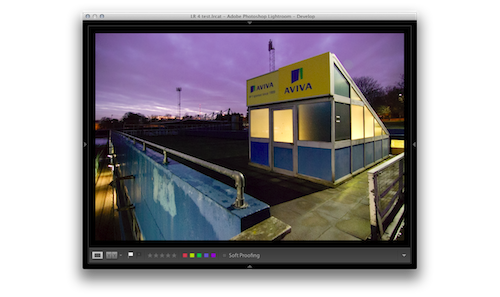 It’s also a great plus to be able to add noise reduction or colour-temperature changes to specific places. You can now move many folders from one location to another at the same time by command-clicking (ctrl-clicking in Windows) to select the folders and then dragging any one of them (with the command or ctrl key released). In Lightroom 3, this functionality would silently fail — only one folder would be moved — and none of the point upgrades addressed it; in version 4, it works. It sounds like a small thing but we’ve often had to answer calls from photographers asking how to rearrange a folder structure in Lightroom and we’ve had to tell them to do it folder by folder. The upgrade procedure from Lightroom 3 to 4 has been smooth for our machines and leaves a copy of your original LR 3 catalogue in place. Nevertheless, back up everything before you begin. As with the upgrade from Lightroom 2 to 3, you’ll see an exclamation mark next to an image that uses the older process version while in Develop mode. You can click that icon to update that image or all the images in the filmstrip. Resetting an image will also update the process version. Although LR 4 will make some attempt to preserve the look of an adjusted image when moving from process version 2010 to version 2012, you’ll likely have to tweak things to get them looking right — but the end result will likely be better than it was in LR 3. The new process version (2012) does place a heavy load on older hardware. If you’re running an old machine and a high-resolution camera, now might be a time to start looking for a new computer. If you’re unsure about your machine’s performance, download the trial version of Lightroom 4 first. It’s free to use for 30 days. Adobe’s new pricing is surprising but welcome: officially £86.57 excluding VAT for the full version and less than £50 ex-VAT for an upgrade. That’s roughly half of what you’d have paid for Lightroom 3 just six months ago. If you run the trial version first, you can buy a retail copy or buy from Adobe directly to convert your trial to the full version, without losing any work — you just need a serial number to activate the software after the 30 days are up. If you’re a Lightroom 3 user interested in a top-up course to cover Lightroom 4 specifics or have been using Lightroom causally and would now like to use it in depth, please write or call (333 577 5703). Update on 15 August, 2011: we’re no longer taking bookings for this workshop (although, as always, we do have one-on-one Lightroom training on offer — we usually need only a week’s notice). Please use the contact form to get in touch. End of update — original post continues below. While we’ve been busy providing photographers with personal Lightroom tuition and other creatives with technical help of all sorts, many of you have been waiting for group training sessions and have been writing to say so. Thank you for your patience! 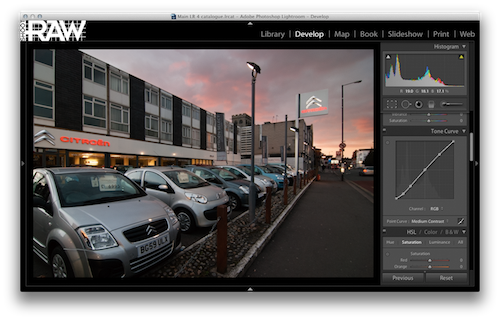 We’re planning a workshop based on a non-destructive Lightroom 3 workflow, to be held in London, probably in late August. We’ll go over catalogue functions, development and high-quality output. Any questions? Please get in touch by e-mail or phone (0333 577 5703). Thank you!